This is an analisys of the Everex ICO, to be launched 24/7/2017. Transferring money and gaining access to credit across international borders is still complicated, time consuming and expensive. Everex focuses on easing the financial inclusion problem by applying blockchain technology for cross-border remittance, online payment, currency exchange and microlending, without the volatility issues of existing, non-stablecoin cryptocurrencies. Everex has 6 goals in developing its products: scalable, cost-effective, highly –automated, fast, secure, and transparent. The Everex team has built a total of 5 released products, including Ethplorer and Chainy. In 2016, Everex conducted a case-study of its remittance system with over 100 Myanmar migrant workers living in Thailand. On average, the users saved an average of 7% in remittance costs and currency-exchange rates when using the Everex capital transfer system. Everex’s wallet app is available on Android. The web version is available at https://everex.cash/. EVX serves two main objectives: First, the token is the fuel of an internal reward system of the Everex eco-system. Second, it is part of the governance component of the capital-transfer system. Membership – Proof of EVX ownership will be required to access advanced features, such as immediate on demand credit. Tradable Credit Scores & Collateral – Accumulation of EVX will allow low-rated individuals and small businesses to improve their credit score. Furthermore, EVX will be accepted as collateral, enabling borrowers to access credit at lower interest rates along with other perks. Incentive Mechanism – Loans paid back in time will reward users with an EVX bonus, increasing the credit score, while late payments will entail an EVX levy, lowering it. 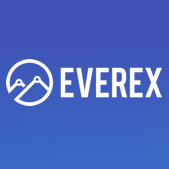 In addition, Everex will use 20% of net profits (on the company level) to buy back EVX tokens from holders at market or higher price as a way to success sharing. It won't be done via exchanges but as reverse ICO via smart contract. The more activities happening in the Everex platform, the more the EVX are being used. As a result, value of EVX should rise. Based in Thailand, Everex has a team of 9. Everex has extensive experience in Blockchain, having worked in bitcoin/counterparty R&D for a year and Ethereum for over 1 year. Alexi Lane, CEO & Founder – Fintech entrepreneur, investor and executive with over 15 years of experience in capital markets, financial services, and payments - including high risk load online billing systems. 2 years in blockchain development. Previously worked in Morgan Stanley and Wealth Strategies Group. Alexander Kakunov, CTO, Co-founder – 15+ years of experience building enterprise level software. Systems Architect and Product Manager, for high-load online Services. In the last 3 years, Alex has focused on the development of Blockchain applications and product development. Experienced team with different successful projects on Ethereum under their belt. The team has already tested their project in the real world with great results. There is a large demand for the services – Everex can help those who are unbanked, especially in the developing countries. Network effect is present for the platform. The more users Everex has, the more valuable the platform is because it would be easier to find borrowers and lenders with different credit profile. Everex will use 20% of its net profit to buy back EVX, which provides another way for the token to appreciate in value. Everex is in competition with Omise GO as they are both focused on the unbanked in Southeast Asia. You can find my analysis on Omise Go here. Everex has a more ambitious plan of expanding into mature and emerging markets globally. Omise GO has a head start with funding from both ICO and traditional VC, possibly in adoption too. Omise GO is only a wallet platform, doesn’t do microlending. Omise Go is acquiring another company in the payment space. The tokens won’t be distributed before September 30, which is over 2 months away. As we can see in the crypto world, 2 months is a very long time. The market environment can change significantly by the time the tokens are distributed. Not good because of the long lock-up period. For flipping, it is very important to be able to liquidate the tokens quickly and this is not the case with EVX. Good because of the strong team and genuine need for Everex’s products. Omise GO is in competition with Everex but the market is large enough for both projects to thrive.